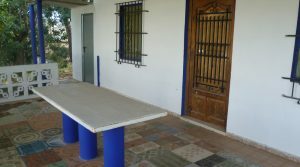 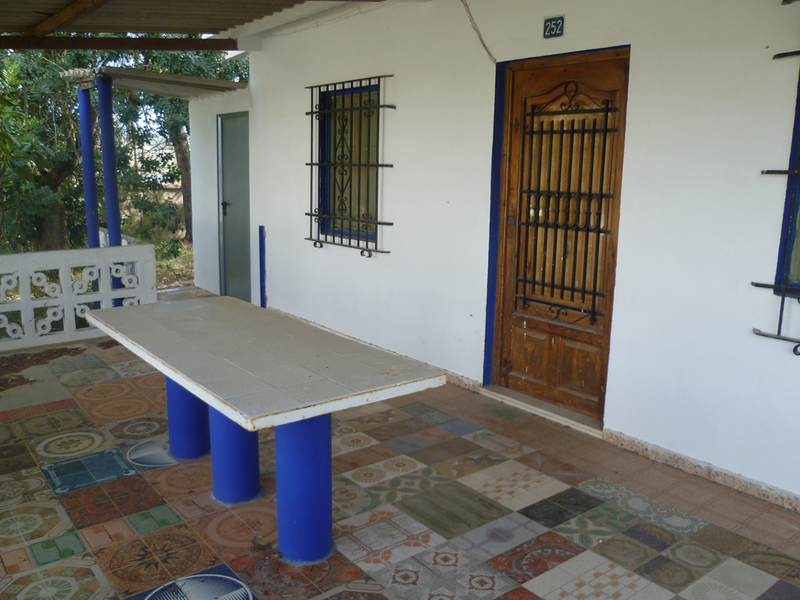 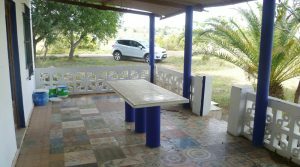 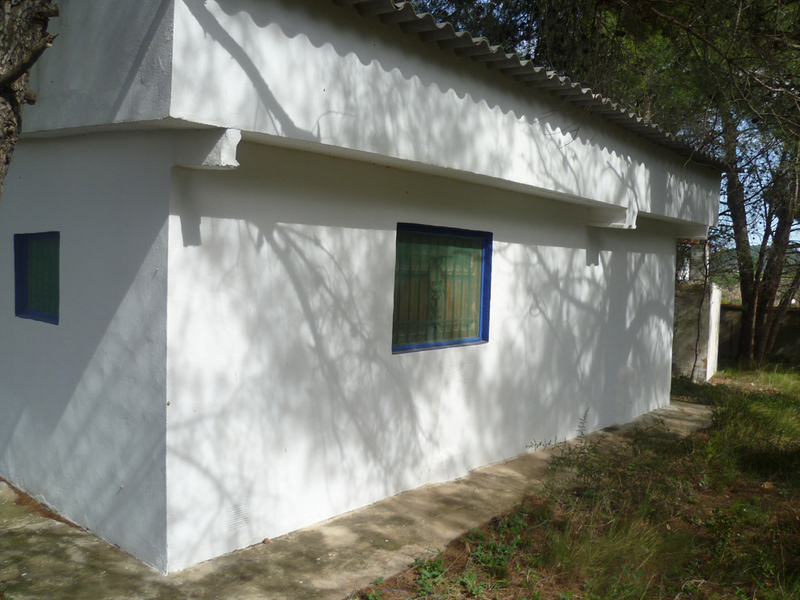 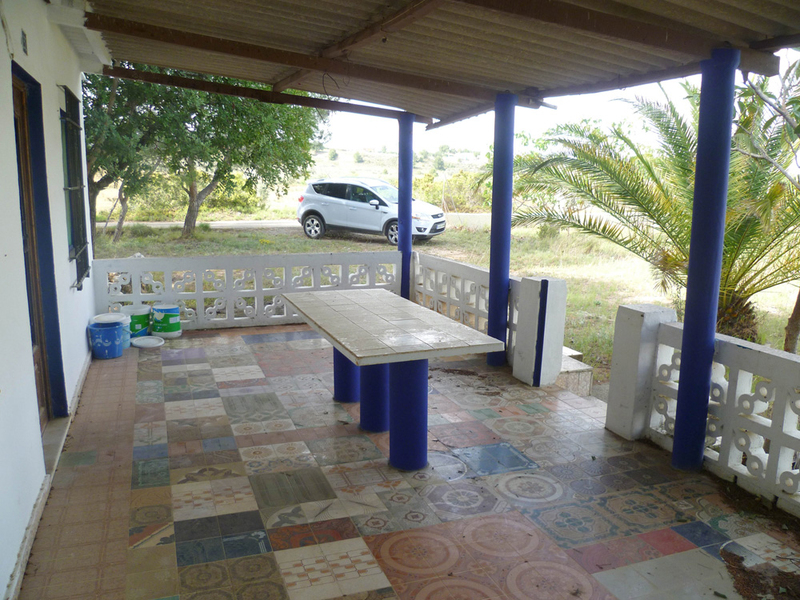 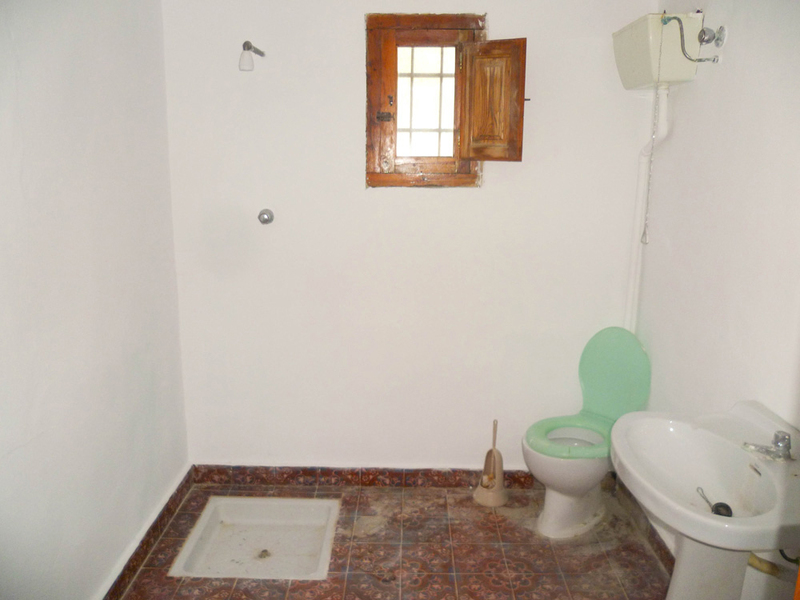 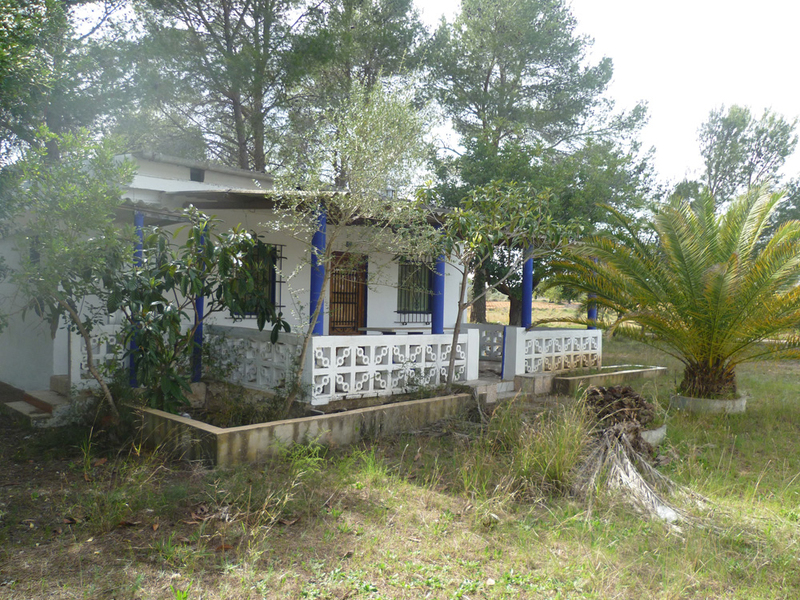 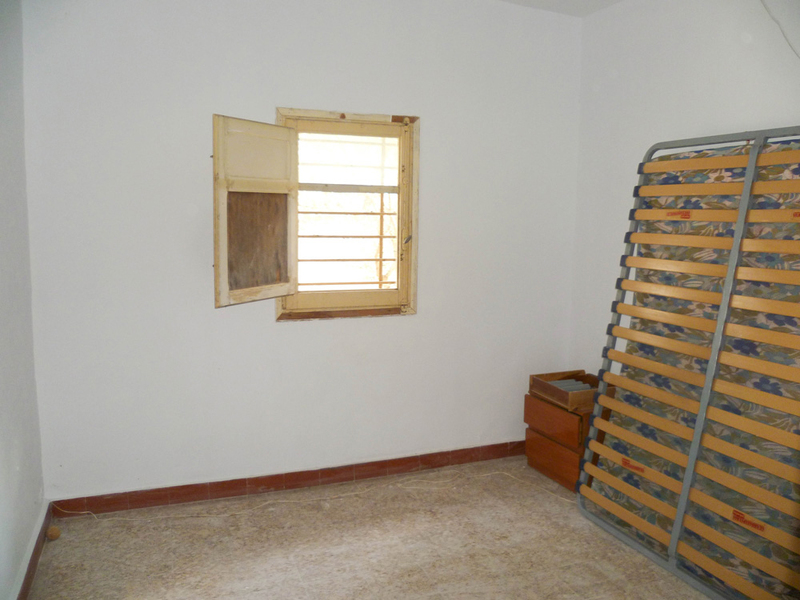 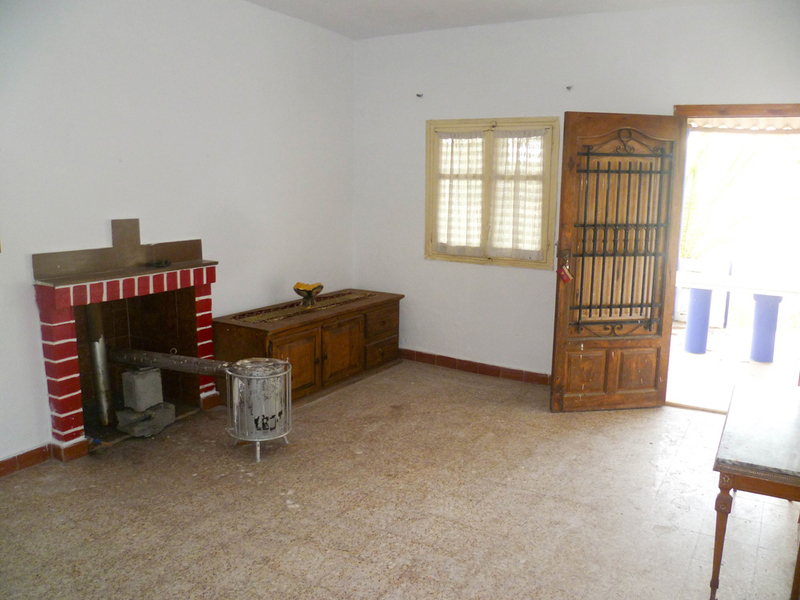 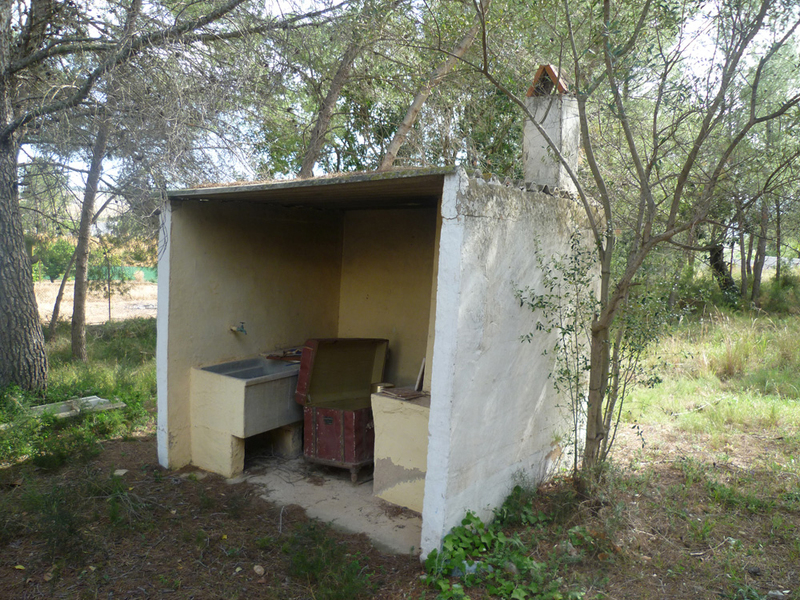 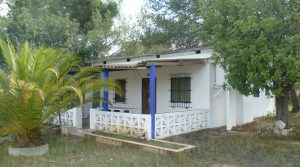 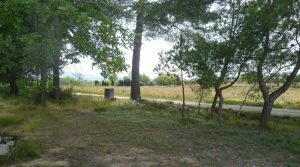 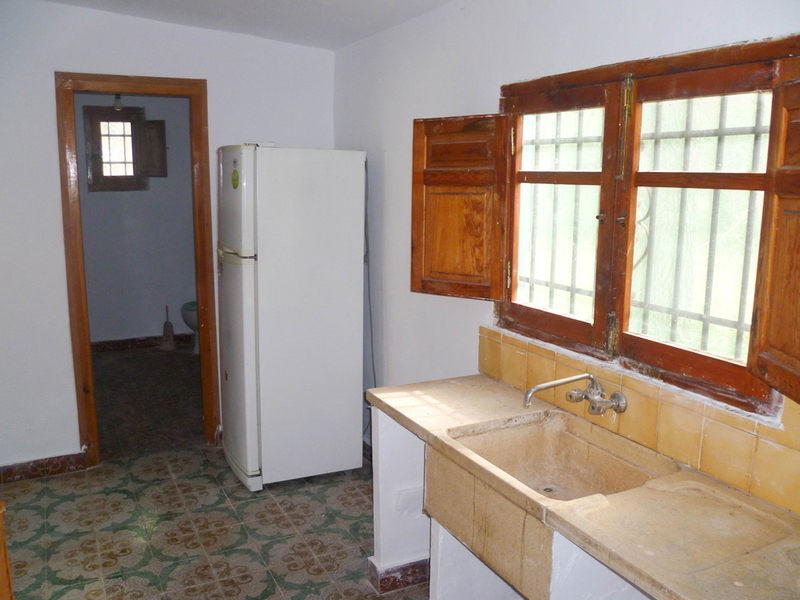 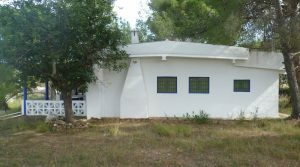 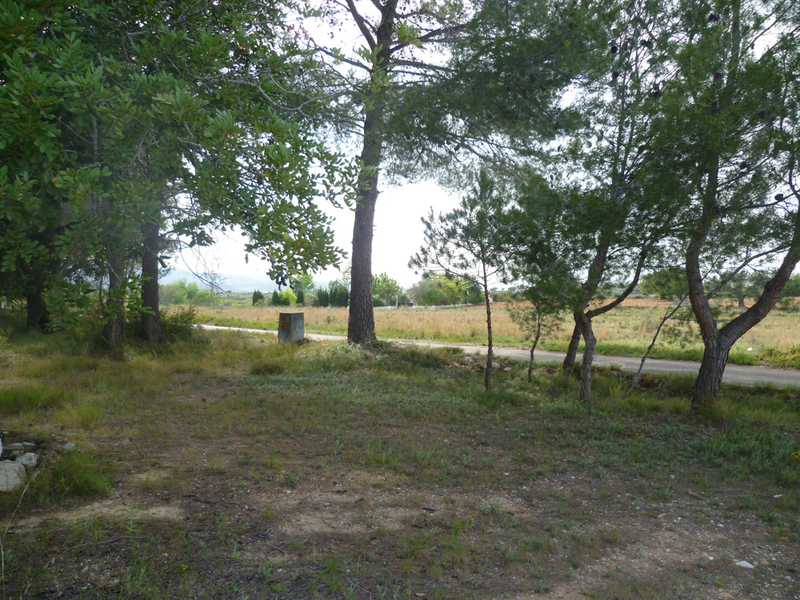 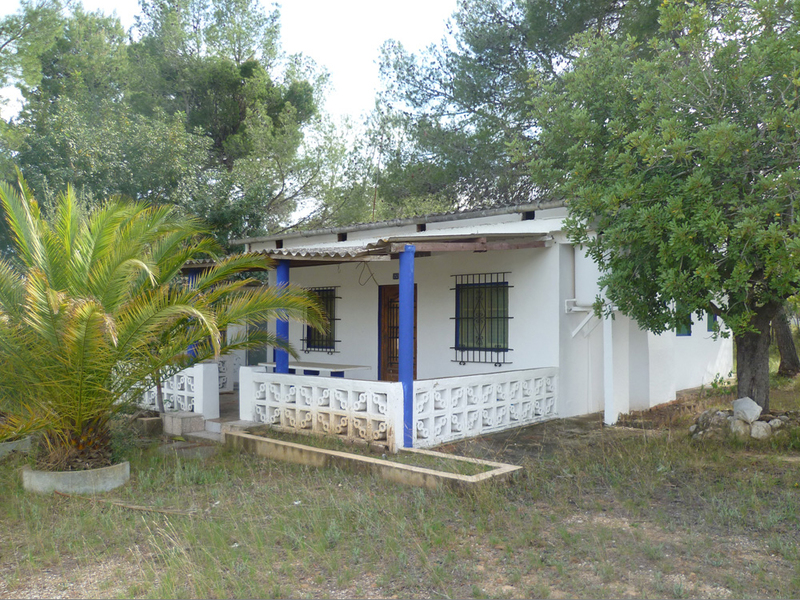 With a good flat plot which is accessed from a good tarmac road and has lovely countryside views, a country property for sale in Real, Valencia which is located just a short distance outside the town. 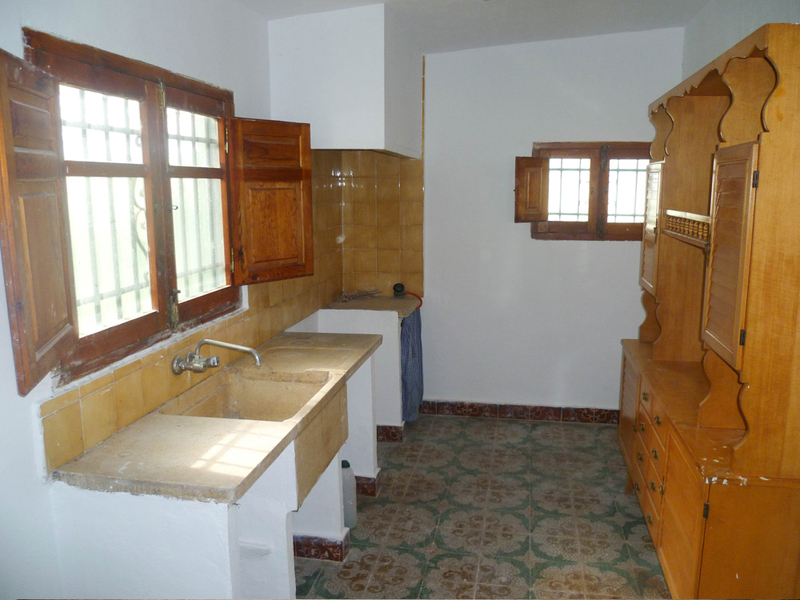 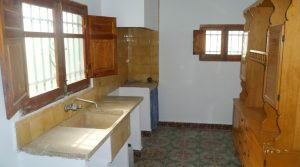 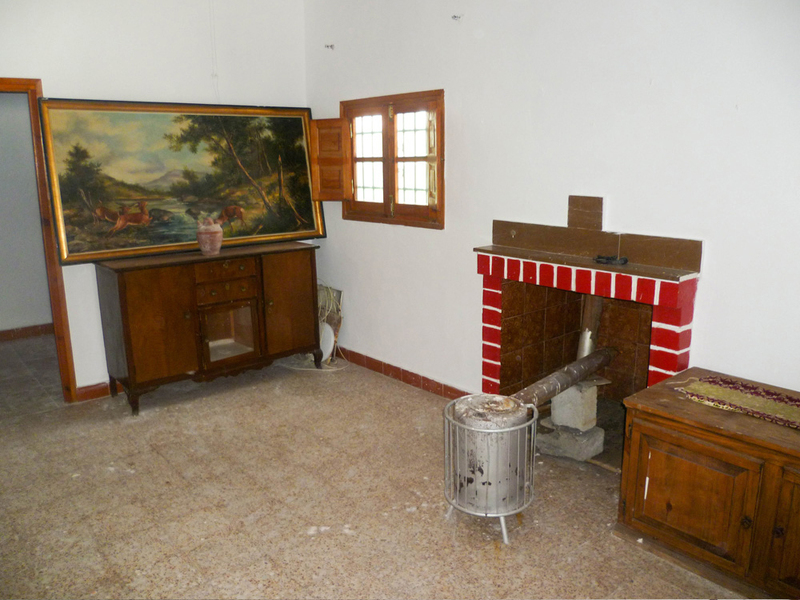 The property has been renovated and repainted throughout. 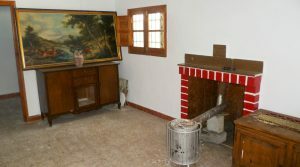 At the front there is a large covered terrace area before entering into the lounge/dining room complete with chimney fireplace, but currently being used with a small log burning stove. 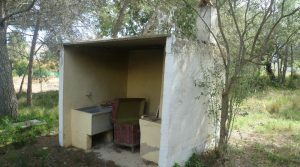 At the rear of the property you have the family bathroom and the kitchen which is a good size. 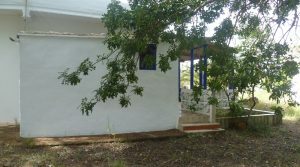 The villa has two double bedrooms and one single bedroom. 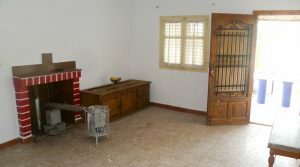 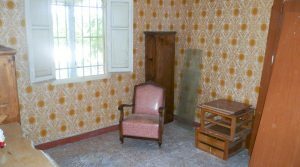 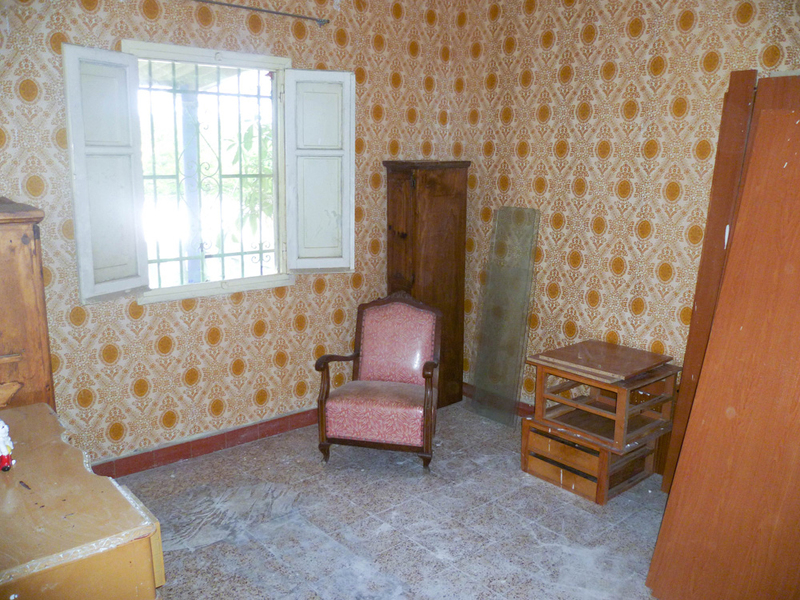 The main bedroom is very spacious and interestingly this backs on to the small outside storeroom which has also be renovated. 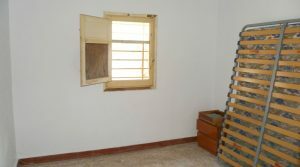 The bedroom wall could easily be knocked through to create a door and reform the small store room to make a lovely en-suite bathroom for this large bedroom. 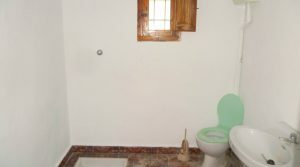 This would be easy and inexpensive to do as all the plumbing is already there as this storeroom is adjacent the existing bathroom within the property. 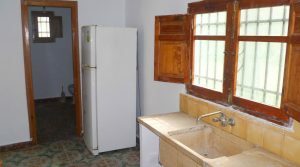 The property has main water supply connected, but for electricity you would need to install a solar panel system and a generator which is the same as all the neighbouring properties have done. 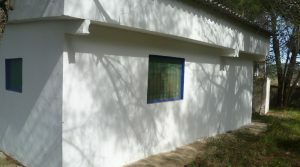 To the side of the villa there also a separate paella house in the garden. 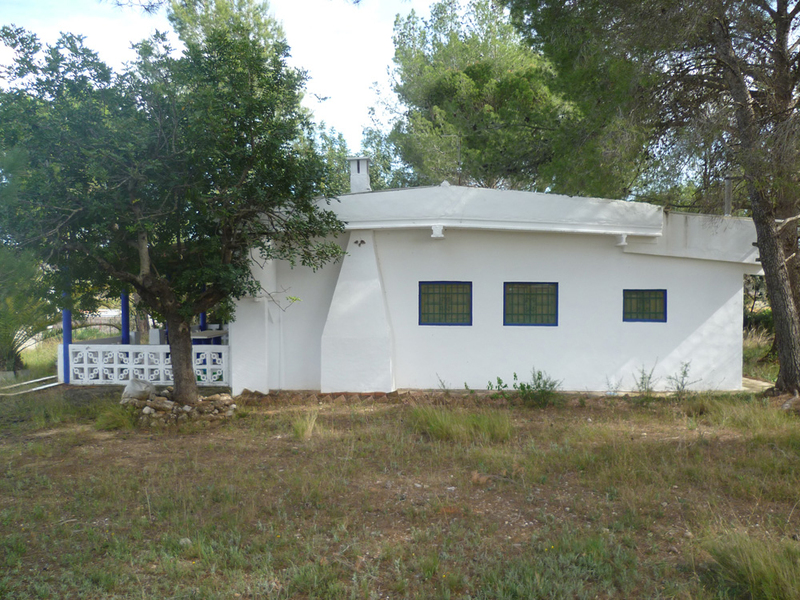 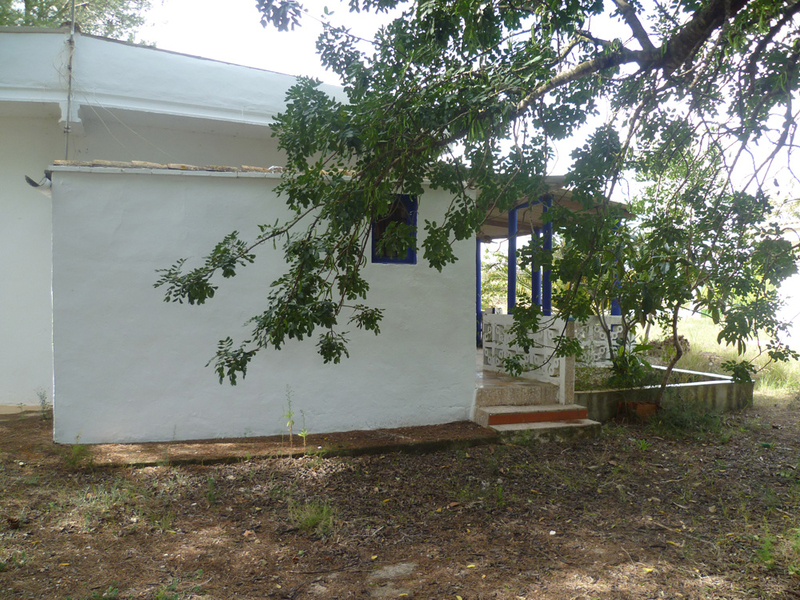 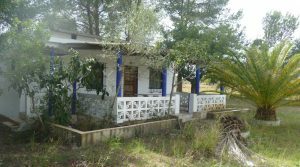 A charming villa in a good location with good sized rooms and nice views.